Lol....at least a half roll. Finish it of with a double bowline knot. Last edited by Timberwolf; 03-18-2011 at 02:16 PM. I LOVE MY BUBBA ROPE! how manny other guys use bubbas? make sure you hook onto the frame when pulling someone out.I seen the back bumper pulled off a colbolt. Rugged....stuff is as usefull as duct tape. i've seen alot of different methods used in vehicle recovery, chains have done the most damage so that would be in my opinion a last resort unless your using a g75 rated or higher, with a double up, and as for straps, 30,000 pounds is overkill, no way that is gonna snap, and your gonna want a lil stretch. i've used alot of different extension setups, my favorite being the clevis as their are no sharp edges or real hazards IF YOUR USING STRESS LIMITS CORRECTLY, and unless your plain oblivious to the stress limit on your clevis, then its hard to go wrong, its when idiots goose the hell out of the truck doing the pulling and yank on it, not just a lil, but alot. thats when windows get broken, tailgates get dented, and people get killed. plain and simple, if you aint got an idea what your doin, don't do this ****. it's a dangerous business, been doin this for a good bit and learned a few tricks to not snapping straps and breakin windows. but there are alot of good tips in this post, really helpful. Ok I have to chime in here, even though this is a half dead thread. I have hooks in the front (used them ONCE to pull my 76 Trans Am backwards about 10 feet on level ground), a hook in the back, and no receiver. I've used that rear hook hundreds of times to pull people out of the snow, mud, or are broken down somewhere. What have I used? 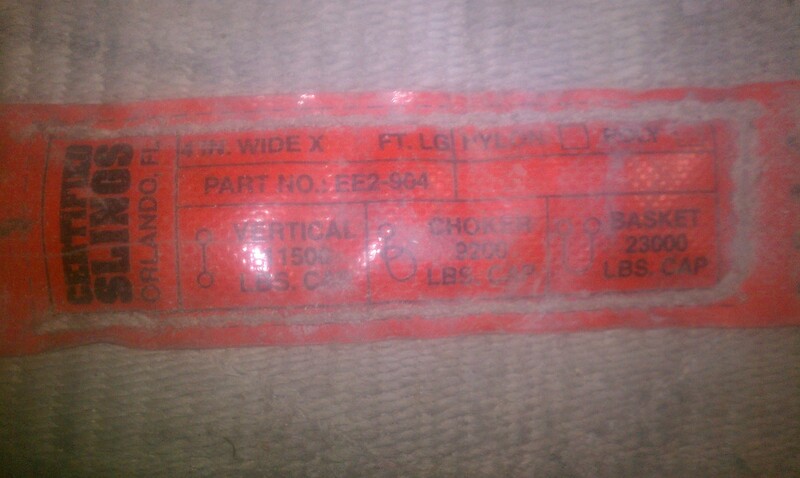 LoL bought a set of 4 ratchet straps from Home Depot for $35. Hook on one end, nothing on the other (it goes into the ratchet action, which has another hook). I've towed MANY people using that method and only had ONE strap ever break. I was towing a full size Chevy S-10 uphill. The strap broke right at the hook and fell right to the ground. The hook stayed attached to his frame, right where I put it. I thought my clutch was going to give out on that one. 5 mph, low gear, smoke pouring out of bell housing, lol. HAHA I got the S-10 out, though! So, that said, I don't how you guys have crap flying back and hitting your rear windshields and whatnot. Rated at 1500lbs. After re-reading some of these posts, it has become apparent that some guys have towed with hooks connecting the towing media in between the vehicles. Now that, I can understand coming back an breaking something. Thanks...alteast got some new idea about the hooks and now it will be quiet easy during the snow times to pull the cars. I was towing a full size Chevy S-10 uphill. What's "full size" about the S10 ? Yeah, the hooks at the ends are a weak point. That's where my straps broke. At the stitch that tied the strap onto the hook. 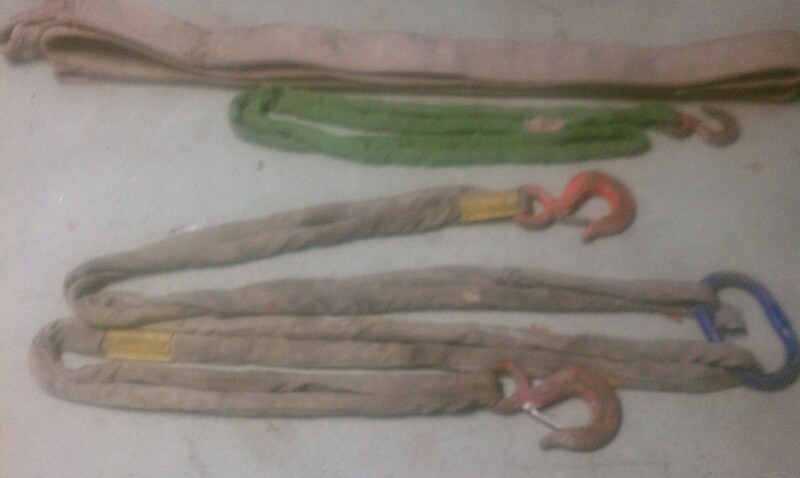 I went for all marine grade straps, clevis', hooks and everything. My main "jerk strap" is 6 inches wide, 1 inch thick and has a breaking strength of 60k as a straight strap. if I loop it, it is doubled to 120k. The strap is actually used to lift and move boats. IF IT BREAKS THIS STRAP, IT'S STAYING WHERE IT IS. i got a bubba rope. rated at 28,600 lbs. as well as 2 Clevis's made in america, rated for 53,200 lbs. so i should be good! Just curious... about how much did all that cost? Well I got them through a group buy on a raptor forum, I got the "bubba" which is rated at 28,600 lbs. and is 7/8" thick and 30' long. It retails for $169, I paid $140. The clevis' I got are the 7/8" thick rated at 52,300 lbs. Retails for $37.50 ea. I paid I think $28 for them? Total was $196. Basically $200. Retail would have been close to $250. 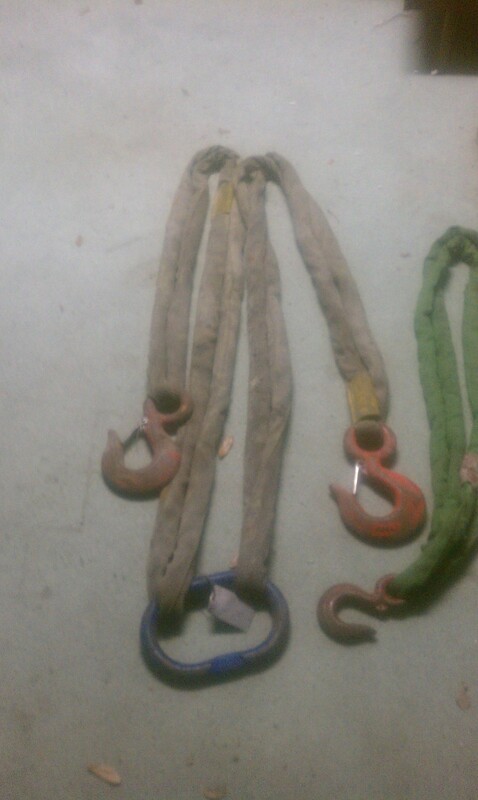 I could have gotten cheaper clevis's that were matched tiny rope in terms of max lbs, but I like to be a tad overkill so I got the ones rated for way more than needed lol. it's sing shipped to me right now, hope to have it soon and test it out.